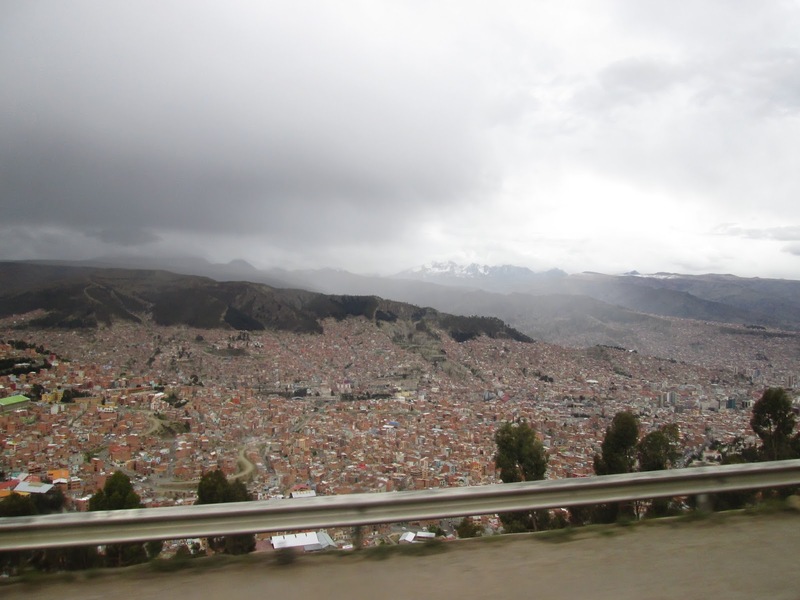 It was time to go to La Paz, at 3.600m the highest located capital in the world. They say La Paz is a bowl, you could almost say it’s located in a very wide canyon, and driving into the city from the top gave an incredible view that immediately woke you up. I took the bus with my travel companions Alex and Elle, and Lola and Dave, 2 other nice travellers who we had met in Copacabana. We stayed in hostel the Wild Rover since Alek wanted to volunteer there like I did in Cusco, and Elle would then have been in all 3 branches and got a free T-shirt. It was a big hostel, but was pretty dead when we got there since they just had an entire week of partying for their sixth anniversary, so we decided to go drinking at the Loki hostel around the corner instead. It’s apparently a phenomenon in Peru and Bolivia, the Loki hostels, and I understood why when we got there. Located in a huge mansion, the bar was enormous with loud music and disco lights and their staff were dancing half naked on the bar, pouring shots in their guests mouths who were already outrageously drunk. I was a bit flabbergasted, even though I should have been accustomed to these kind of things by now working in a hostel myself, but this is just part of the microculture of long-term travellers, partying in hostels around the world. Even though I am judgemental, I had to remind myself I am a ‘backpacker’ myself and I am not free from sin as well. It was just weird to be in Bolivia, thousands of kilometers from home and see people party like they’re at some student party in Brussels. We went to another club when Loki’s bar closed around 2 am, also only filled with gringo’s, and when that closed we were still too full of energy, so someone suggested to go see the city from a viewpoint. We took a cheap taxi that waited to take us back to the hostel when we were done staring speechless at the amazing scenery of La Paz at 7am in the morning. When in a new city, it’s very nice to discover all the nooks an crannies by taking a free walking tour, which we did on the second day in La Paz. I’ve had nothing but good experience with free city walking tours and this one was no different. The red cap tour had enthusiastic and eloquent young people to show us around common and uncommon places with funny anecdotes and interesting facts. Definitely recommended! While I had heard of visits of the San Pedro prison that sparked my interests, the people from the tour dissuaded us to go look for tours since tourists were no longer allowed in the prison, so everyone promising a tour was definitely a scam. The San Pedro prison is one of those prisons that are actually a small town with just some guards at the gates. It has its own community and economy (mostly in drug manufacturing) and hierarchy inside, and those who end up in there are allowed to bring their family in with them as well. Apparently there are some other prisons like that in Bolivia, but only in San Pedro did some people think it was a good idea to make it a tourist attraction. At its peak, people were prepared to pay more to spend a night in the prison than in the most expensive hotel in La Paz. it was mostly popularized by a book that’s now on my reading list, called Marching Powder, a written account of life in the prison by a foreigner who was imprisoned there. The next days I don’t remember doing much in La Paz except partying and shopping shopping shopping! Bolivia is so insanely cheap that I went all out on filling my backpack up (and I still spent less than I budgeted!). Since I have by now lost so much stuff along the way, and Bolivia was pretty cold, I am now in the possession of several sweaters with colourful llama’s on it and other alpaca attire. I will have to do some more shopping in the civilized world though to not arrive at the UN in New York with only llama gear :-/. 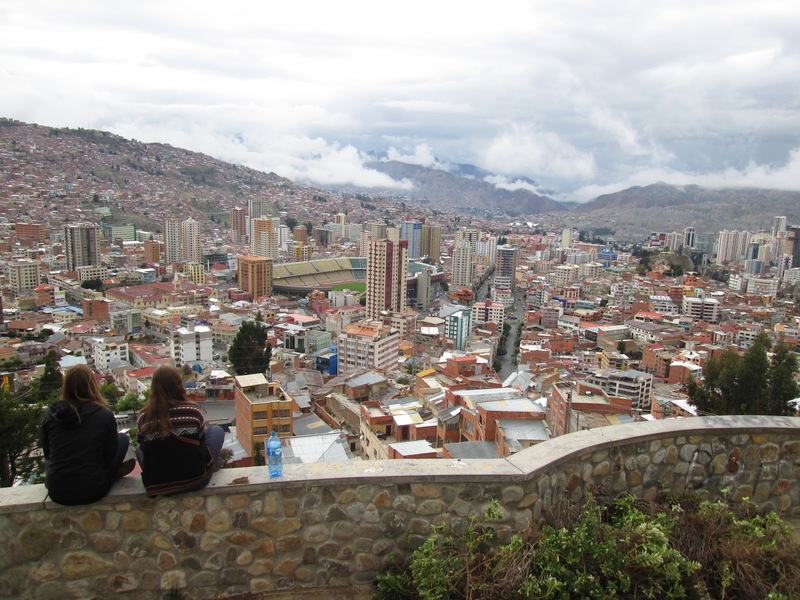 All in all, La Paz was a new stop to rest and explore after staying in Peru for over a month. Had I started my entire South-America trip in Bolivia, I would have probably experienced quite a culture shock. Dead llama Foetusses hanging at the shop windows, electrical wires like birds nests, the shoeshiner children and drug addicts on the street. It was still astonishing, but I was able to place it in a wider context of a continent I had gotten to know a lot better. All in all, I really liked the chaos of the magical bowl that is La Paz. De verkiezingshack en information war: Hoe vrij kan het internet blijven?